Dive into an incredible adventure with an IMAX® film! Explore the deepest reaches of the blue planet at The Simons IMAX Theatre with the largest screen in New England and IMAX 3D technology. Bring the entire family for an engaging and unforgettable experience, and then discover more creatures of the sea at the New England Aquarium with a combo ticket! Sit back and enjoy an unforgettable IMAX® film! The Simons IMAX Theater uses amazing IMAX 3D technology and New England's largest screen to take you to places most have only dreamed of going. 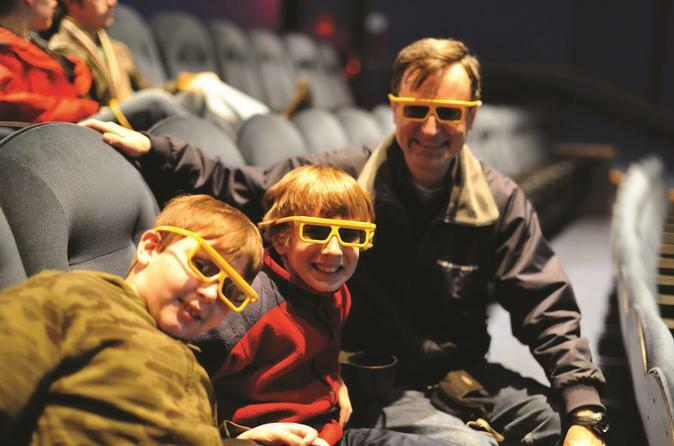 IMAX films provide people of all ages with larger-than-life experiences that captivate, enlighten and inspire! Allow yourself to be transported into another world in the ultimate film experience. Opt for a combo ticket to include admission to the New England Aquarium and explore the underwater world. With thousands of aquatic creatures big and small, a wide range of exhibits, and a massive coral reef, the New England Aquarium is guaranteed fun for the whole family!